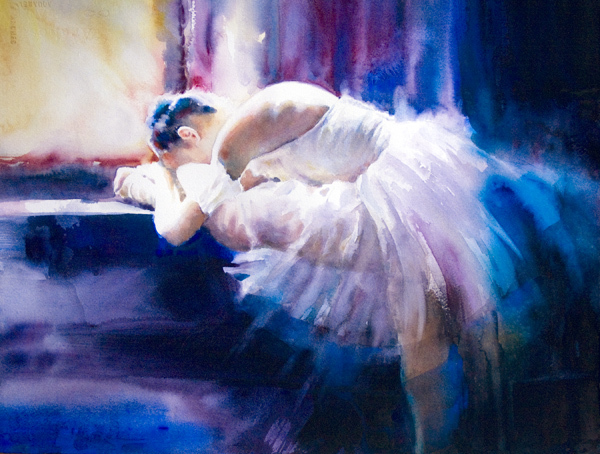 I was inspired by the dramatic pose of the dancer and the light from the window. I love the way it created lost and hard edges and a high contrast, so I wanted to play that up in the painting. My color palette is analogous blues/violets with a complement of yellow orange and a touch of red for the discord (accent) color.